Oops! Something went wrong while submitting the form. Let's try again! An ambitious cuisine, a remarkable service, warm and elegant atmosphere, you are without a doubt at « La Villa »! Kevin d’Andréa, highly skilled French chef, will sublimate your expectations thanks to sophisticated dishes and astonishing food design during a tasty adventure at La Villa. Our French crew will do anything they can to provide you with a delightful experience, combining tradition and modernism to make each plate an explosion of flavors you won’t forget anytime soon.La Villa is the place where good food isn’t an option. You’ll be back! Amazing food ! There of us went there for dinner and we’re delighted by the friendly service, attentive staff (helped us choose just the right amount of food) and food that was as beautifully presented as it was delicious. We opted for a homemade fois gras that was among the best I’ve ever had, a simple and breathtakingly gorgeous burata (imagine a sack made of tender mozzarella filled with a creamy light curd-like cheese), and a delightful bouillabaisse. A feast of all the senses..
We sat on the patio. Food was fantastic – every dish from salads through to dessert. We had 2 different pastas and a grilled tuna. For dessert we had tart Tropezienne that was to die for. Service was tremendous – friendly, helpful, fast, good sense of humor. This was a perfect lunch.. 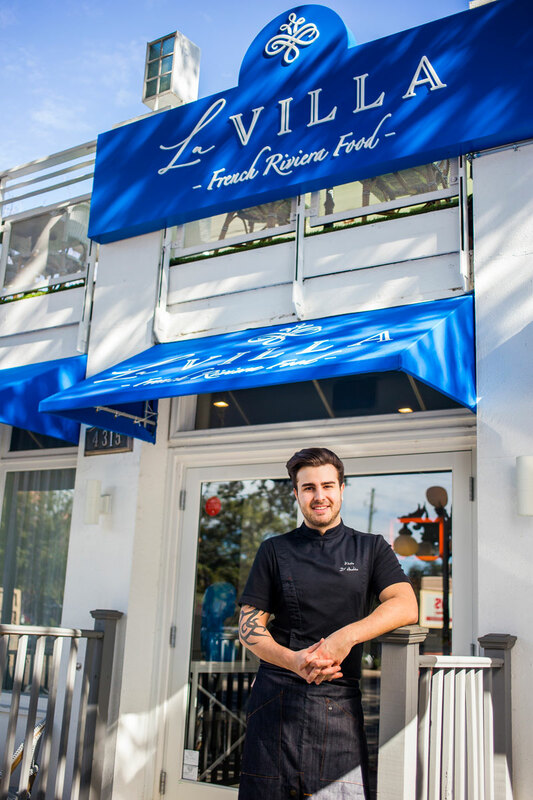 Chef Kevin D’Andrea offers you French cuisine with a modern twist. The menu changes as the seasons do to ensure the highest quality of produce. All products are carefully handpicked by chef and locally sourced whenever possible.